SUMMER ROSE' - French . Italian . Greek . Spanish! 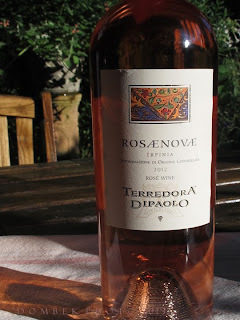 Here it is the end of summer, and I'm just now getting to review some fun and fabulous Rosé. There is still plenty of time to enjoy these lovely and festive wines ... into the autumn and beyond! Being a colorist as well, I've lined them up from lighter to more saturated palette, which perhaps not uncoincidentally also translates into tasting palate. Grenache, Syrah, Cinsault, Cabernet Sauvignon & Mourvedre. 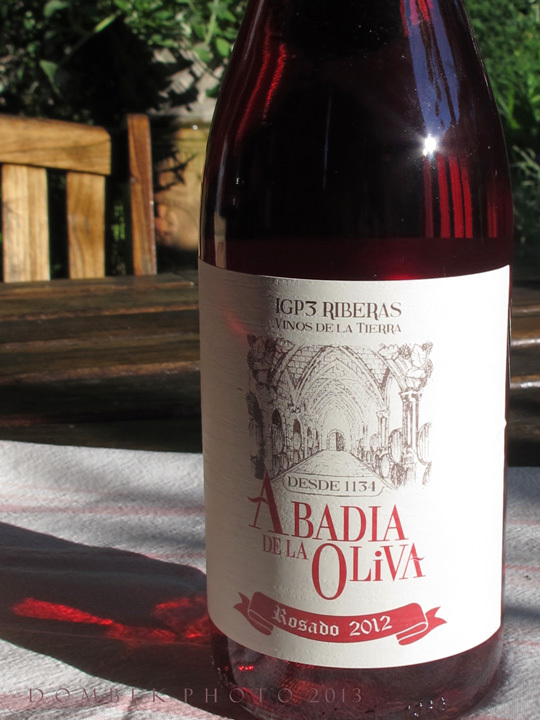 Lovely light salmon pink in color, this rosé is clean, refreshing and surprisingly light given such a blend of varietals! Subtly floral with hints of raspberry fruit and minerality on the nose, along with a quiet explosion of fresh berries and cream on the tongue. Expressively pleasant, creamy, lush and lean. Classic Provençal Rose'. 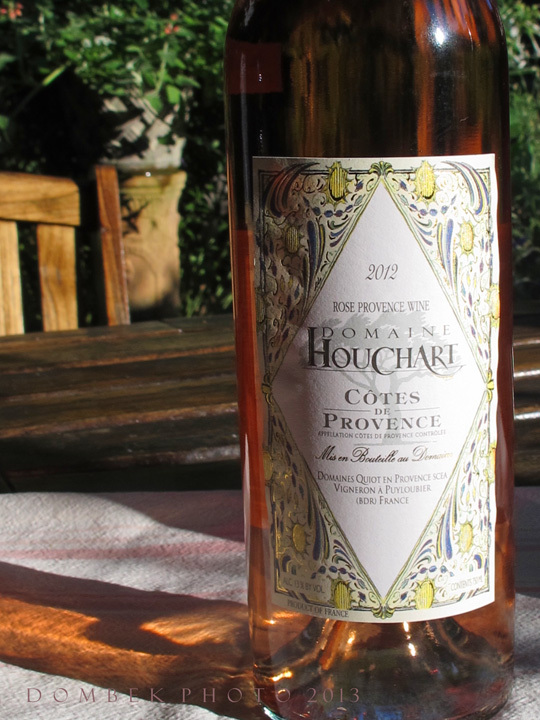 Domaine Houchart is owned by Geneviève Quiot. Located at the foot of Mont Sainte Victoire near Aix-en-Provence, it was acquired originally in the 1850's by her great-grandfather Aurelien Houchart, friends with the famous French painter Paul Cézanne, who often came to visit and to no doubt share a few glasses of wine! Available for under $14/btl at all Rosemont Markets, RSVP, Boones Fish House & Oyster Room and Downeast Beverage, Portland. Perkins & Perkins, Ogunquit. Cape Porpoise Kitchen, Kennebunkport. Black Sheep in Harpswell. From Devenish Wines. Imported by USA Wine Imports, New York. A brighter steely salmon pink in color, this wine is understated and elegant, even a little racy! A mix of minerals and earth, this is clean and refreshing with calcite & schist on the nose, wild strawberries, apricot, white peaches and essence of roses on the palate. Very beautiful modern style made with a very old world varietal, "Aglianico". This is the same used in making the wine of that name, only with brief contact with the skins of the grapes. 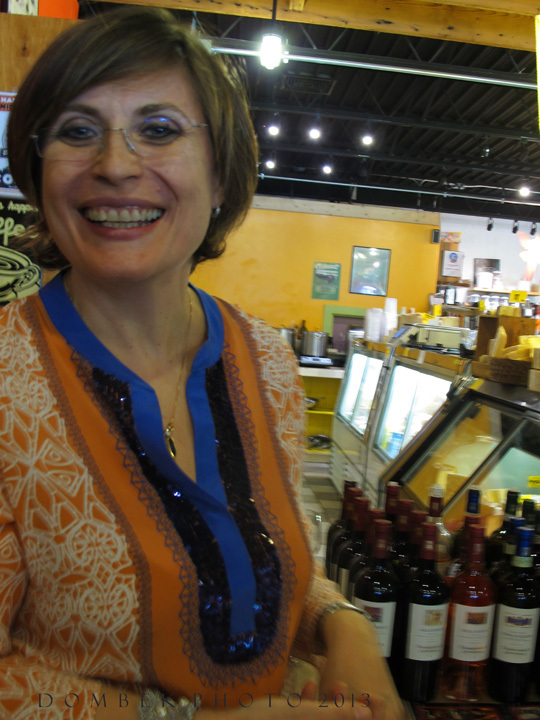 The winery is owned by the Mastroberardino Family since 1978. 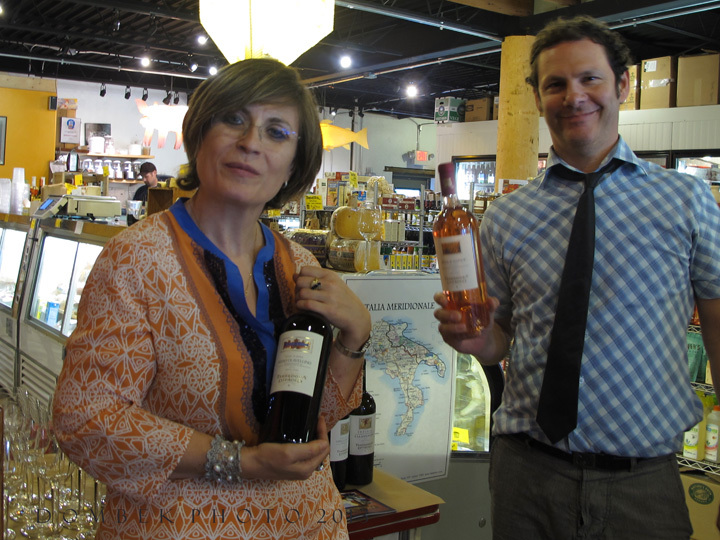 They have been instrumental in rediscovering and reviving Campania's ancient grape varietals (one of which is Aglianico). I was honored to meet Daniela Mastroberardino recently at a tasting of their wines at Rosemont Market (see photos below), an articulate and passionate spokesperson for their wines. Look for a more in-depth article of the Terradora wines in a future article! 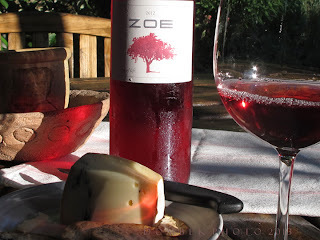 Deep brilliant cerise in color ... not unlike Dorothy's ruby slippers, this wine is OCEAN on the nose, lively and vibrant. With candied fruit, this is completely crisp and refreshing on the palate with juicy wild berries, watermelon and hint of lime citrus for acidity. Such a mouthful! So lush with a bit of spice, yet so lean, easy and clean. Celebrate with friends, enjoy with Paella or a soft, creamy cheese! Established in 1986 by Dijon-trained winemaker George Skouras, Domaine Skouras is located in the village of Argos, in the region of Nemea in Peloponnese, Greece. They source their grapes from their own vineyards as well as dedicated growers in the region. Estate bottled and terroir-driven, these wines are enjoyed in Greece and around the world. 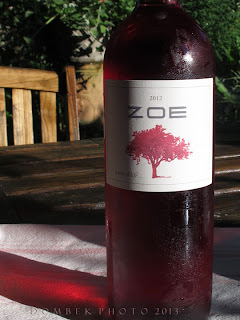 Printed on the bottle ... "ZOE = LIFE = HAPPINESS"! From Central Distributors, Lewiston, ME. and MS Walker, Fine Wines & Spirits. Imported by Diamond Wine Selections, Chicago, IL. Available for under $14/btl at RSVP and Old Port Wine Merchants, Portland. Trattorina Athena in Brunswick. Bright deep cherry in color, with apple and watermelon on the nose, here is a huge mouthful of juicy fruits such as bing cherry and kiwi with cherry cola and earthy bark underneath. Completely clean and dry on the finish, brisk and refreshing. Perfect for barbecue or picnic! The winery was originally the Monastery of La Oliva, located in northern Spain near the Pyrenees, housing an order of Cistercian monks who were dedicated to agriculture, making bread and wine used in liturgies, as well as olive oil. Motifs on the ancient architecture depict their daily work - labors of the grape harvest and vine imagery. From Wicked Wines, Bangor, ME. Imported by C&P Wines, New York. Available for under $12/btl at Rosemont Markets/Yarmouth & Brighton in Portland, Bangor Wine & Cheese, Shephard's Pie in Camden and Vic & Wits, Saco. Daniela Masterberardino of Terradora di Paolo Winery (with a bottle of Fiano) and Michael Burke, representative for VIAS Imports (with Rosaenovae Rosato) before a recent tasting of her wines at Rosemont Market/Brighton in Portland. A glass of the ZOE rosé in outside garden setting ... with some morbiere cheese and late summer light! Enjoy them all!